The big warehouse at 24th and Western could easily go unnoticed in the Pilsen neighborhood; there is no dominant signage, no colorful mural and no sweeping awning on the former furniture warehouse. 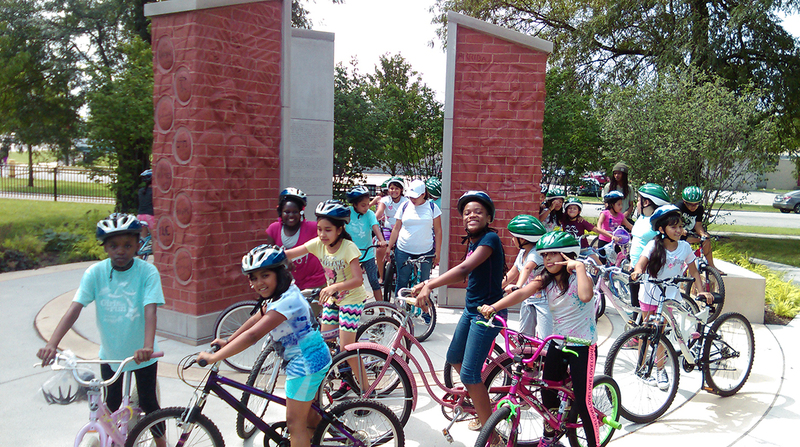 Instead, like a great book with a mediocre cover, the good stuff is within this building’s plain façade: thousands of bicycles and parts, and hundreds of helmets and locks, handled by scores of mechanics and volunteers. 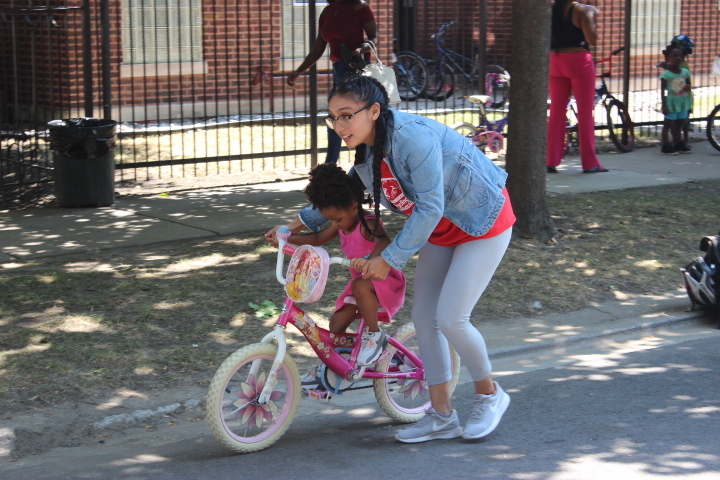 This is Working Bikes, a Chicago nonprofit organization that “rescues” and refurbishes old and unwanted bicycles, and gives them new life as vehicles for transportation, enjoyment and economic sustainability for people across Chicago and the world. 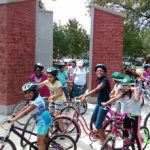 Alongside local and global partners, Working Bikes collects and redistributes about 11,000 bikes a year, with more than half going to benefit people in African and Latin American countries. 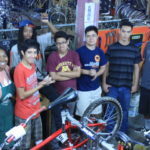 In Chicago, Working Bikes’ mechanics repair about 3,000 bikes a year, which are then sold or given away to fund the organization’s programming, which includes Cycle of Power, a program that offers a bike, helmet and lock to people who are homeless, recent refugees or re-entering society following incarceration. 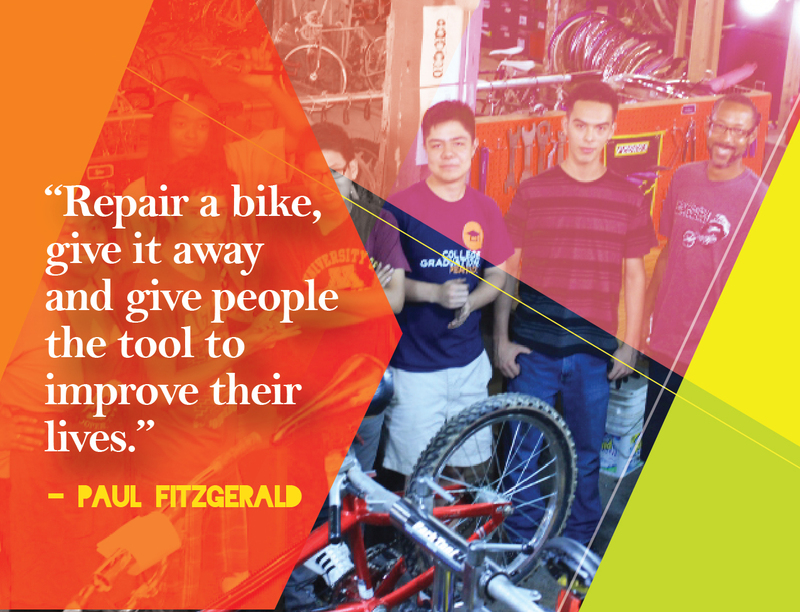 Paul Fitzgerald is the operations manager for Working Bikes, and it’s his job, among many duties, to look for funding to support the expansion of programs. 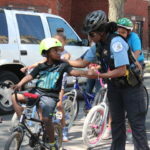 Fitzgerald applied for a grant from the Chicago Fund for Safe and Peaceful Communities to launch a summer apprentice program for Chicago teens. 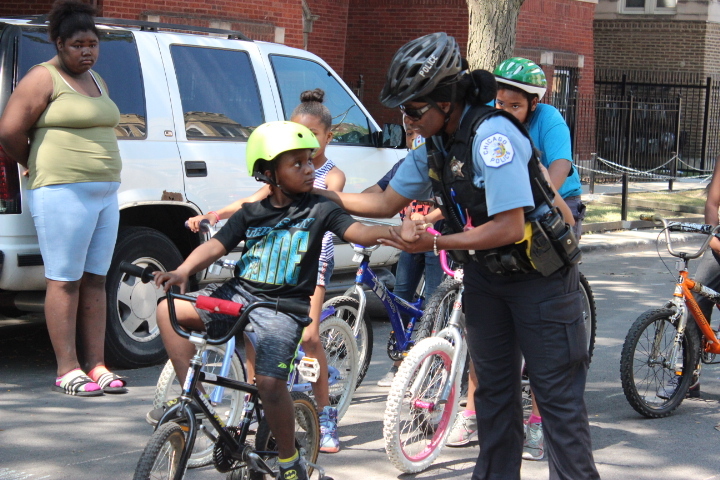 “I’m a lifelong Chicagoan and south sider who feels strongly that our global mission is important but we (also) need to be service oriented and engage with young people as best we can,” he said. 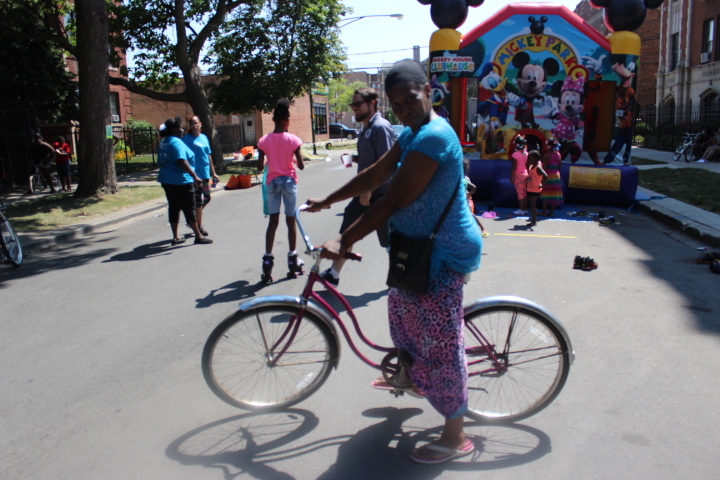 Working Bikes received a grant from the Fund, and Fitzgerald was able to hire eight young adults the Little Village, North Lawndale, South Shore, Roseland and Brighton Park communities. 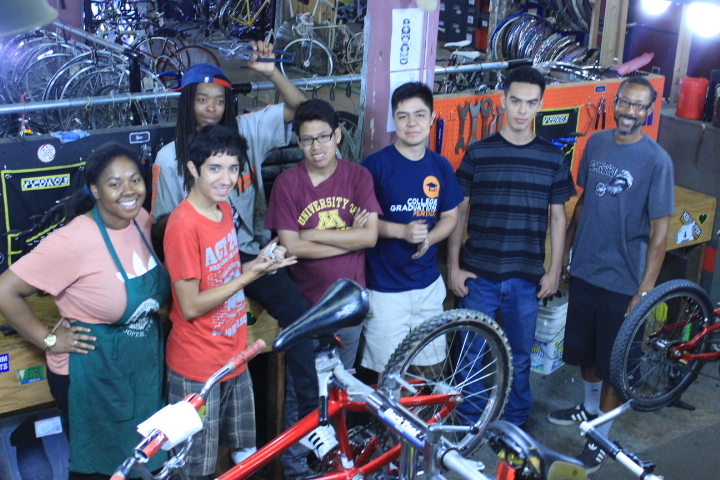 Each apprentice each worked 24 hours a week repairing bikes and distributing them at community events; funding allowed four apprentices to extend their work with additional hours, said Fitzgerald, and “a few are still coming back as volunteers” this fall. 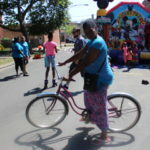 Working Bikes’ upcoming plans include donating as many as 100 additional bikes to the North Lawndale Boxing League in December 2017, and raising funds for what Fitzgerald calls a “enormous and colorful” mural by artist Hector Duarte, making its big warehouse a lot less non-descript in 2018.